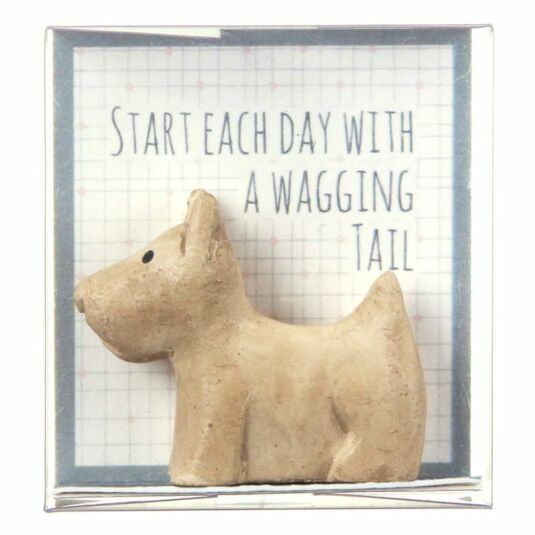 Start each day with a wagging tail. 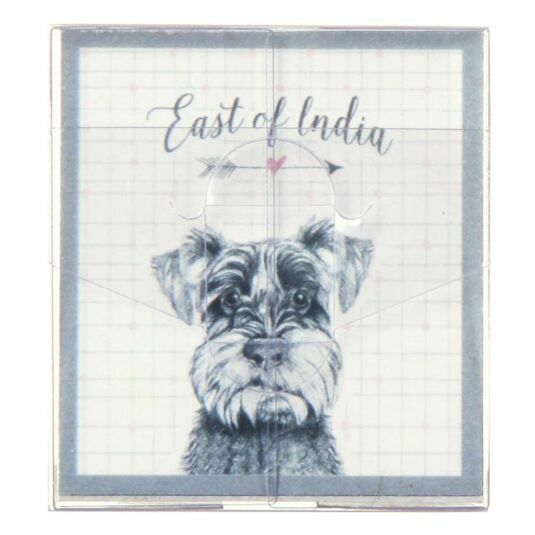 On the back of the card is a detailed portrait of a Schnauzer dog's face. 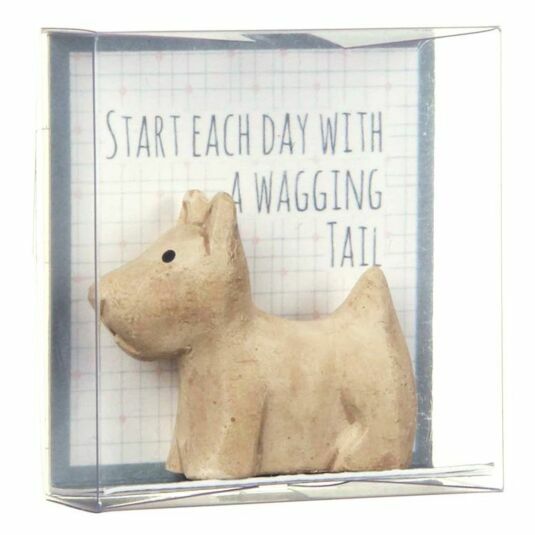 The dog in a box is perfect to give as a birthday keepsake, to dog lovers or to anyone who needs motivating! Please note that the design my vary slightly from the one shown in the photo.